Hello my sweet friends! I am so thrilled that you are here. It has been a week of ups and downs here at the Rich house, and more in store for the weekend. We have a Tropical Storm Warning in effect for Friday and a big outdoor birthday party planned for Saturday for my soon to be 8 year old. Oy! Praying for good news and smooth sailing on all fronts here. I still have packages to wrap and a cake to bake too. Better get on the ball! Thank you so much for linking up. I truly appreciate each of you who takes time out of your busy week to visit here and share! Have a safe and wonderful weekend! hello melissa! love the way you edit in IG. i'm missing IG; my iphone was pick-pocketed while i was traveling. :( can't find the linky for this post? just wanted to let you know! Oh! I hope it doesn't rain! Great photos! Beautiful beautiful week my friend!!! Hugs!! Such a lovely collection of memories! Beautiful week, love the props! Hi Melissa, Thank you for hosting this lovely blog hop! 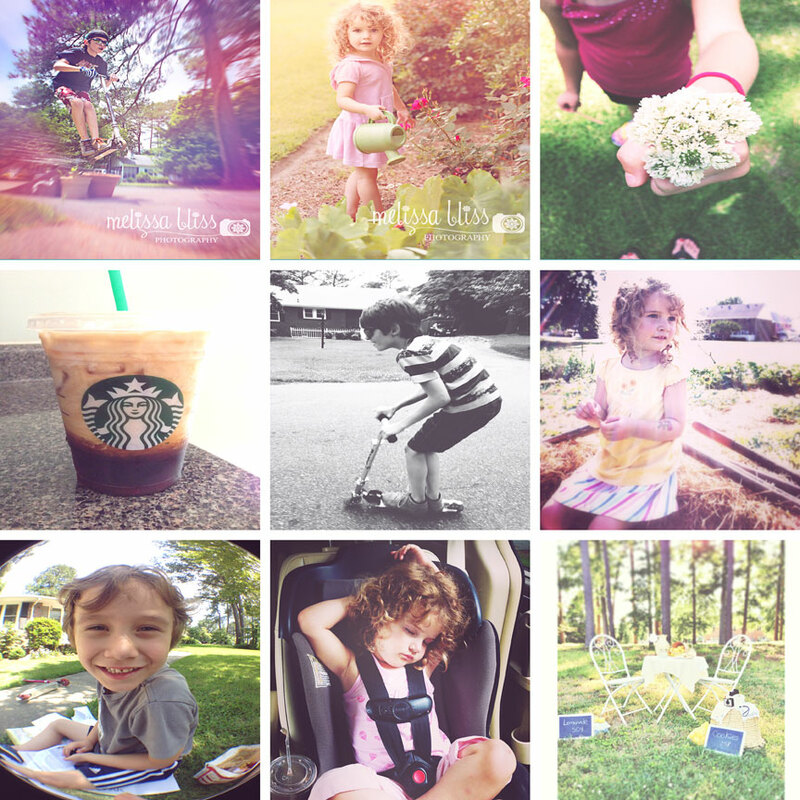 Such a sweet captures from your week! I love your lemonade stand setup! Lovely memories here! I hope you get everyone well celebrated this weekend, without the wet! All of these are wonderful, Melissa, but the one in the middle of the first row is pure perfection! I sure hope the weather clears for you. We had some of the effects of it today, but we are not on the coast, so it was not bad. Wishing you a wonderful weekend, and a very Happy Birthday to your almost 8 year old. It all goes by too quickly. love your little lemon stand - I did one today for a mini session! We have a birthday this weekend too- 14! Ouch. Hope you have great weather!